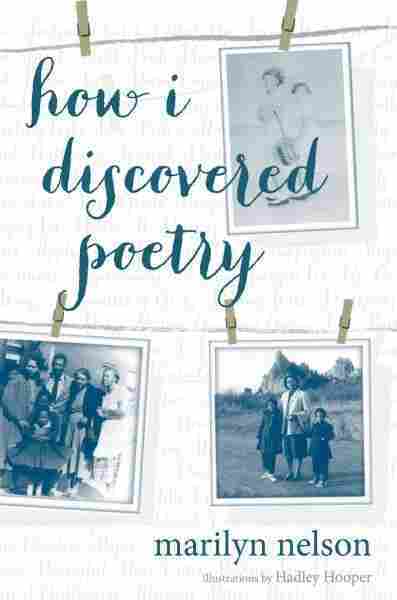 Interview: Marilyn Nelson, Author Of 'How I Discovered Poetry' Many of Marilyn Nelson's most famous poetry collections are for children. Her latest work, How I Discovered Poetry, is a memoir about her own childhood, which was spent traveling around the country in the 1950s as the daughter of an Air Force pilot. 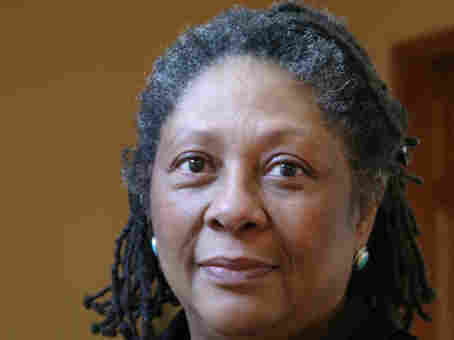 Marilyn Nelson is one of America's most celebrated poets. She is a three-time finalist for the National Book Award, winner of the Newbery and Printz and Coretta Scott King awards. Many of her most famous collections are for children. Her latest work, How I Discovered Poetry, is a memoir about her own childhood. It's a series of 50 poems about growing up, traveling all over America in the 1950s to follow her father's job in the Air Force. Each of the poems is identified with a place and a date. "[My father] graduated in the last class of cadets from the flight school at Tuskegee. So they are now the Tuskeeee Airmen," she tells All Things Considered host Arun Rath. "The story I tell, the family story, is of the family of an African-American flying officer." Moving around the country as part of a military family, Nelson was often one of the first black children at her school. Those experiences had a profound impact on her point of view as an artist. "Back when I was in college, people used to talk about the alienation of the artist," she says, "not ever quite fitting in any place." These are sonnets, except that they don't rhyme. I did break that rule. After you kind of find your footing, sonnets are what comes easiest. You know, writing in form is a way of developing your thinking — your thinking along with the tradition. In a way, it's not you alone, it's you in partnership. My father was so proud. He wasn't one of those famous Tuskegee airmen, but I imagine all of them were like this. We would be driving down the highway and get stopped because my father was speeding ... he liked flight, he flew. And we were driving once some place in California and a cop stopped us and said, 'What do you think you're flying, boy?' And my father said, 'B-52s.' "
For much of my life — my sister and I have talked about this — when we moved, we just thought the world behind us disappeared and all of the people, they just didn't exist any more. So, death was the same thing. When you die, you go to a different school, you know, you get transferred. And I must say that that's a very comforting way to consider death.